Yesterday was what I would call the perfect Sunday. We had nowhere we had to be, and we got our first snow! It was such a cozy, relaxing day, and so needed before this new work week. 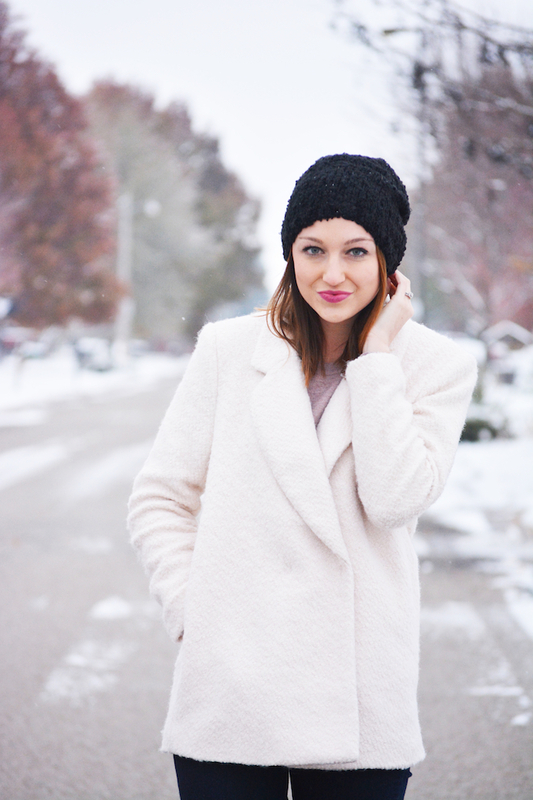 I purchased this winter white coat at Forever 21 a few weeks ago because I urgently needed a cute, decently warm jacket for a football game the next day, but I'm so glad I got it! It's a nice change-of-pace from a traditional black or charcoal pea coat (although I do need a new one of those too), and it has a slightly dressier feel that's perfect with my work outfits. I went ahead and linked some other F21 jackets/coats below because they have lots of cute ones right now!